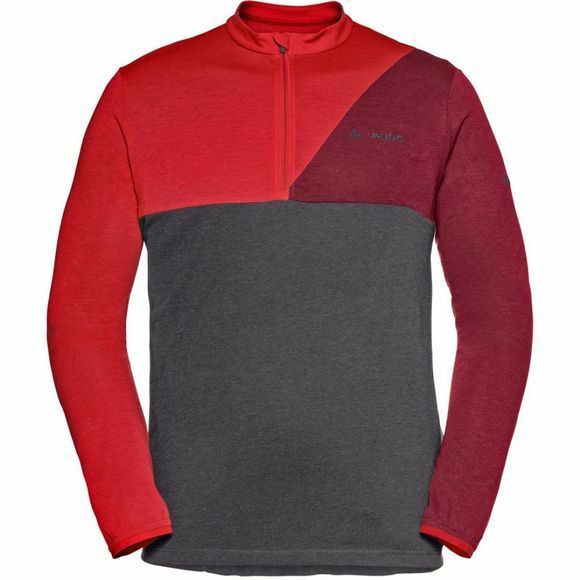 The Mens Tremalzo Long Sleeve Shirt from Vaude is a comfortable long sleeve bike shirt with stand up collar and short front zip features a casual cut, keeps you cool and is odor resistant. Bring that Monte Tremalzo feeling from Lake Garda back home to your evening tour from your doorstep. 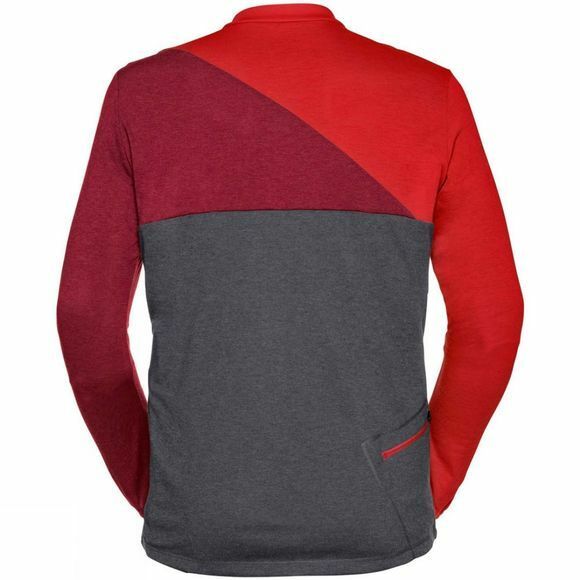 Drirelease is a performance fabric that's lightweight and fast drying and has a wool blend that ensures effective temperature regulation for a good microclimate. Wool is also a renewable resource that conserves fossil resources. They're made from a material certified by the strict bluesign system environmental standard that's comfortably lightweight and offers maximum functionality. You can store valuables for quick access in the small zip pocket at the back. The Vaude Green Shape label stands for environmentally friendly, functional products made from sustainable materials.